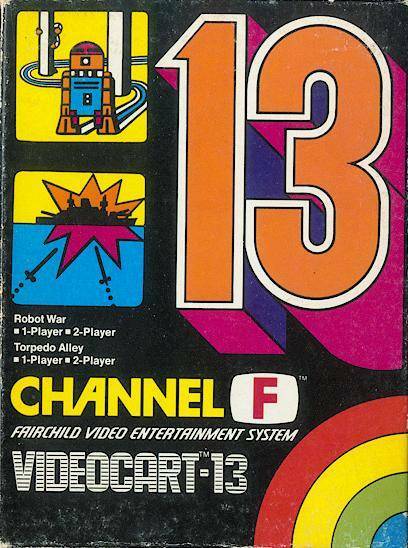 This is the selection of best games released on the Fairchild Channel F console between 1976-1978. 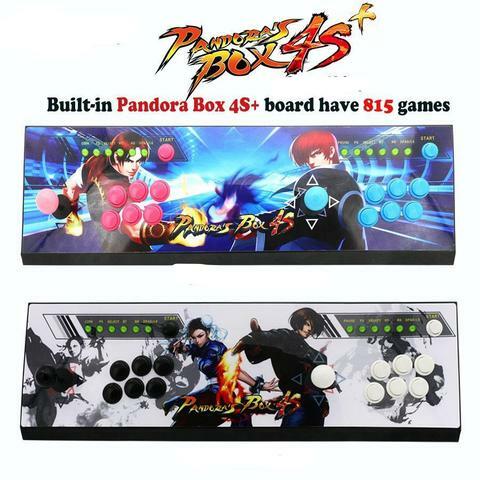 Following games may offer you some fun even today! 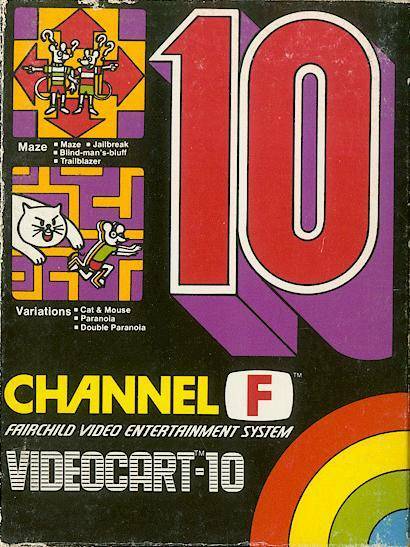 This cartridge contains various versions of Maze (Jailbreak, Blind-man’s-bluff, Trailblazer) – mostly fun for two players as you control a mice trying to be the first to escape the labyrinth and some versions of Cat & Mouse (Paranoia, Double Paranoia) – can be enjoyed by single player as you control a mouse trying to escape the labyrinth and avoid being eaten by the cat (controlled by cpu). 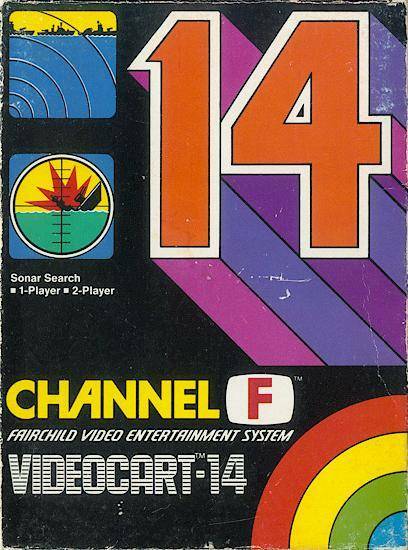 A must cartridge for a Channel F owner! This cartridge contains two games: Robot War – a (single/two player) game where you take control of the robot hunted by other robots, your mission is to lead them into the electrified force fields to survive and Torpedo Alley – a (fun for two players) game where you have to blast away the invading ships by shooting them from the bottom of the sea with torpedos. Maybe its not a must but still fun retro cartridge to add to your collection. This cartridge has just one game, but this one is fun – its Sonar Search! It might take more than one play to understand the game, but once you get it, you will like it. Your mission in this game is to find and blow up enemy’s ships by listening the sound of your sonar (sound navigator). You can play this game alone or with your friend, the fun will never end! Must have for the retro gamer! 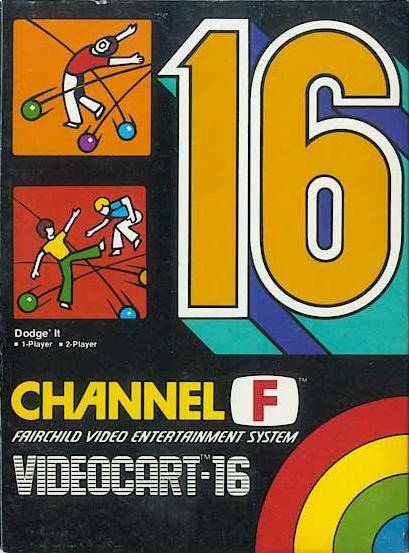 Dodge-It might not be the most advanced game, the game has really basic sound and graphics and the gameplay is simple, but it has some magic in it. Your mission is to avoid balls (dots) thrown by cpu and see how long you can make it. From time to time another ball (dot) will be added to make your life a bit harder. Its also fun to play this game with your friend to see, who will last longer.